Welcome to the sick world of Dee Dee and Gypsy Rose Blanchard. Directed by Erin Lee Carr, HBO’s documentary Mommy Dead and Dearest covers a bizarre world of fraud, mental illness, child abuse and extreme Munchhausen syndrome by proxy – to put it lightly. In fact, it suffices to say that this is one of the strangest cases that you will likely ever encounter and if you are a true crime fan, this is a case you definitely won’t want to miss. Born in Louisiana to Dee Dee Blanchard, a little girl named Gypsy Rose was subject to horrific abuse at the hands of her mother, who is later revealed to be a con-woman from an early age. From stealing from family and friends, she then graduated to an all-out different world of fraud after having little Gypsy Rose. Carr’s HBO documentary explores how Gypsy’s mother began her abuse from a very early age, telling the little girl (as well as Gypsy’s father, Rod Blanchard, who has since remarried) that she had a litany of diseases, when she in fact was perfectly healthy. For more than a 10 years Gypsy Rose Blanchard lived in a wheelchair by force and was subject to many unnecessary and serious, medical procedures as her “devoted” mother received praise from doctors and family. From tricking doctors into believing she had several afflictions including leukemia, needed a feeding tube to being parallelized from the waist down (this is only a sample of Ms. Blanchard’s fantasy illnesses she prescribed to her daughter,) it seemed that Ms. Blanchard clearly thought of her daughter as one thing: a paycheck. Dee Dee and Gypsy landed in Springfield, Missouri after claiming they were subject of the utter devastation of Hurricane Katrina in 2005. As the con-woman banked on, this would go on to explain lack of medical records for her daughter, which Dee Dee stated had been lost in the New Orleans 2005 storm. She would also regularly lie to friends and doctor’s about Gypsy’s age – including Gypsy herself. Later in court, Gypsy would go on to say that she was not sure of her age. One doctor did observe the unusually lack of muscle atrophy in Gypsy’s legs, which would indicate that her legs were functional, but due to bureaucracy his reports were seemingly ignored. Now, welcome to the Internet and all it has to offer. This includes sympathy and a lot of money – and eventually murder. However, that’s not what she told the internet. According to Gypsy’s mother, she quickly learned that the internet could not only garner the sympathy that she so desparately craved, but a little cash on the side as well. We’ve all seen the health-related scams on the internet, but this one takes the cake. Dee Dee would regularly post on her daughter’s health problems on Facebook, but at the same time celebrate the fact that Gypsy was living the life of a princess. Yes, the documentary states that Dee Dee received regular donations from concerned followers that totaled up to some thirty-thousand dollars. This would go on to include paid trips to Disney World as well as home from charity Habitat for Humanity. But, it seems that after all of the lies and deceit, there is one thing that Mother Dee Dee didn’t plan on – Gypsy growing up. She not only grew up, but also learned how to use the internet. It was on the internet where she met a boy Nicholas Godejohn, whom she eventually confessed her “real life” to. They eventually met, then cooked up a plan to get rid of Dee Dee, and did so in an epic fashion. After stabbing her mother to death, Gypsy went on to post it on Facebook. One has to wonder if this was revenge on Gypsy’s mother, or simply the result of mental illness brought on by years of abuse. Was Gypsy in on the scam? If so, for how long? 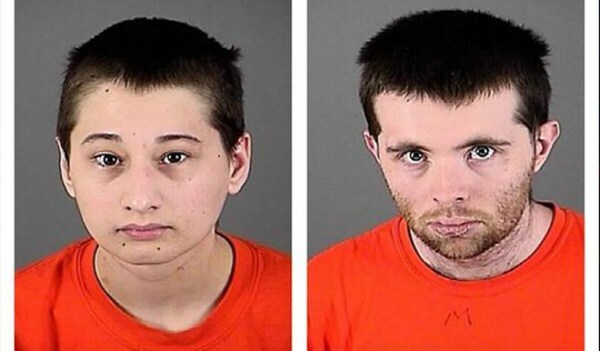 Whatever the case, Gypsy Blancharde, 23, and her boyfriend Nicholas Godejohn, 26, were both arrested in 2015. They were then charged with first-degree murder in her Dee Dee’s death. Now available on HBO Demand, you’ll get to decide for yourself. Don’t miss it. It’s definitely worth the watch.